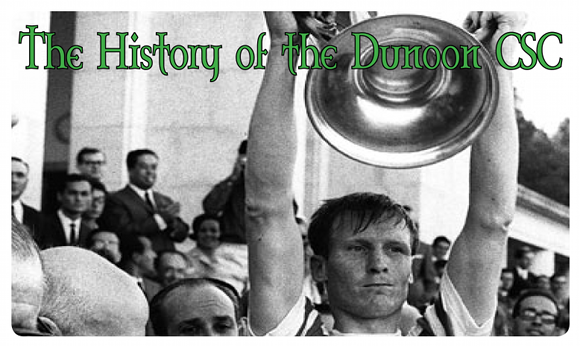 The Dunoon Celtic Supporters Club can be traced back to around 45 years ago when the first organised trips to watch the Bhoys occurred. The first club meetings were held in members’ houses, as travel arrangements were discussed. Numbers swelled, and the club went from organising small groups of cars to ferry supporters to hiring buses. At the time Celtic were in the middle of their most successful European campaigns and the Dunoon CSC was represented with a group of supporters travelling to Milan, to see the team play Feyenoord in the 1970 European Cup Final. As with many Celtic supporters, the club’s members made large financial sacrifices to attend the historic occasion. This was mirrored in 2003 when many members made their pilgrimage to Seville via a variety of routes, to see the club play in the UEFA Cup Final. In 1982, under new guidelines from Celtic FC, the Dunoon CSC was reconstituted under Bobby Hollywood. Bobby would go on to be the club President for the next 25 years, presiding over club matters throughout the 90s and into the new millennium until his death in 2007. At the 2007 AGM it was agreed that the club should be renamed the Bobby Hollywood Dunoon CSC in recognition of its late president’s contributions. The club continues to this day to safely transport supporters to every corner of Scotland to follow Celtic. In keeping with the charitable foundations upon which Celtic FC was created and continues to this day, the Dunoon CSC endeavours to be active within the local community. Club members participate in a number of events and tournaments under the Dunoon CSC name, and the club treasury continues to make charitable contributions. The club are always looking for fresh material about our history. If you have a story, picture or any information relating to the Dunoon CSC, please get in touch via email at dunooncsc@gmail.com.